Hope you all enjoyed memorial day! We start another week of giveaways and bring you BoBunny Washi Tape! We also want to shout out our friends at Paper Crafts Magazine. They helped us get to 40K so we could bring you 40 days of giveaways! Be sure you head over and like their Facebook page, leave a comment, tell them BoBunny sent you and thanks for their support of the #40k40day giveaways! Our design team friends bring you some more fabulous project information with some fabulous BoBunny product. I was so excited to get assigned a "Freestyle" project! 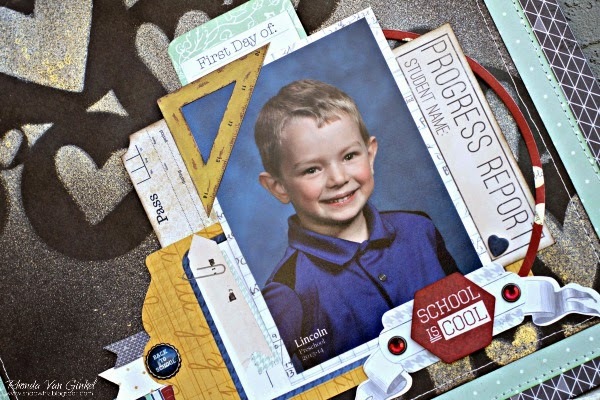 This Preschool photo from LifeTouch has been at the top of my list for getting scrapped and the Pop Quiz collection was perfect for it! I used quite of bit of our Noteworthy here in my layers. You'll also see our pretty brads and some machine stitching for texture. Who else is in love with this collection? I sure am and would love to see what you've created with it too! Please share with us on Facebook. Left to my own devices on this one I decide to use the glorious "Pincushion" collection to highlight this beautiful bridal photo. Loving the greens and peaches and I thought would add a darker contrast with the Blossoms. I also created a video tutorial of how I put this layout together and you can find that by clicking on my name and visiting my blog. I wanted to make this page vintage and romantic so I've added a lot of inking along the edges and on my BoBunny Doilies. I also added bits of Washi Tape not only to my page edges but to the photo as well. A little bit of punching, stitching and modeling paste for some pretty details. I wanted to mimic that bridal florals so I added a cluster of beautiful blossoms along with some leaves cut from Double Dot. There is something so beautiful and unique in the colors of the bridal layout.I just love it! I can't have enough washi tape to use on my background canvas projects. I love, love washi tape! I love to use washi tape on my cards for a nice border. Thanks for the chance to win. I love your new washi tapes and i use washi tape the most when i am making cards...i love to match my envelopes to the cards i make by adding a little matching washi tape to the envelope after i'm done with the card. I love washi tape. It is one of those things that you can just never have enough of. :) I have just learned to make flowers out of my washi tape! So fun!! i dont have any as of yet (late bloomer!) but would so use in card making, journaling/mixed media, scrapbook pages! 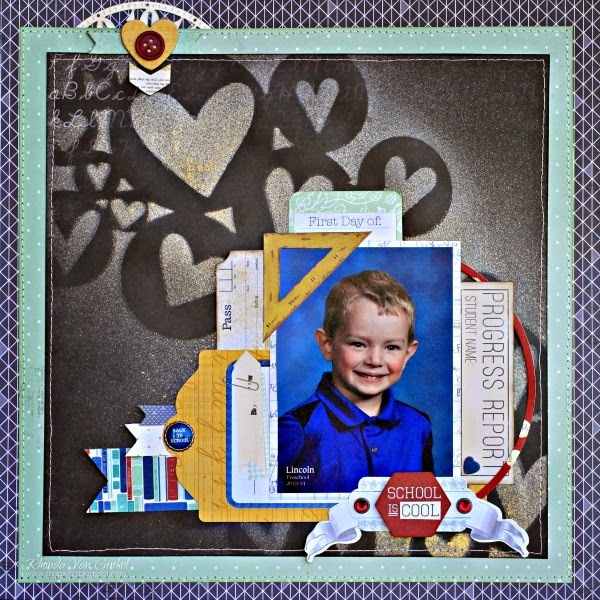 I love using washi tape around the perimeter of my layouts and also a few pieces behind the photo along with layers of other paper and embellishments. Thanks for the chance to win! Thanks for the chance at the washi tape! I use it for my envelopes, for gift boxes and my cards - I love washi tape!! I love washi tape for layering. It adds dimension without too much bulk! I love to use washi tape to dress up the back of an envelope! Ooooohhhh, yummy washi!!!! I love washi tape!! So much fun and so many ways to use it. And love the page projects, fabulous work ladies!! I love to use washi pretty much on everything...just this weekend we used some on a school project board...make great borders...love the pages shared today! Great layouts!! I use washi tape on scrapbook pages, Smash pages, and cards! Need to use them more often!! My favorite way to use washi tape is to tear small pieces off and layer with other embellishments! My favorite way to use Washi tape is on my scrapbook pages as little flags, arrows, photo corners. I love using it in layouts and my journal. like to use it on anything. Beautiful projects again, everyday the great projects amaze me. My fav use for washi tape is for cards, it makes a very nice accent and also a great way to adhere items in needed. Thank you for the chance to win this prize. I don't have much Washi tape yet, but I could certainly put this to good use. I have seen so many cute ideas lately! WOW! J'adore ta création Lisa. I'm a day late for commenting. Missed the reminder post somehow yesterday. Still on the wrong day. I use the washi tape for my greeting cards. Love the chance to win more. Love using washi tape for banners. Great ideas on how to use washi tape! Thank you!!! I love using Washi tape on my cards, especially as borders, and on the envelopes so that they match! I like to use washi tape on more cards than layouts!! Lisa you nailed it. Vintage and romantic it is. oops I forgot to say that I don't really use washi tape. I think its super cute and admit to having bought several but just don't use it. I'll probably start using it when eveyone else has moved onto to something new. I'm a bit slow that way. Wow! These layouts are so awesome! 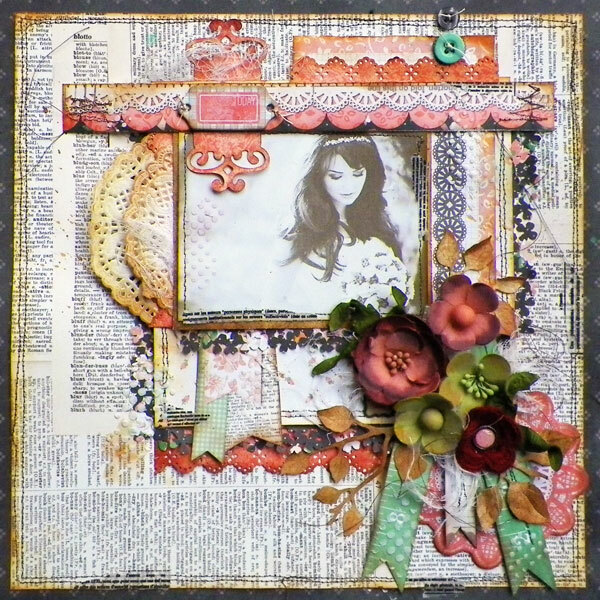 I especially like the vintage look of Lisa's layout. Oh yes, I love to make quick and easy cards using washi tape. I really like to cover chipboard with washi tape & them die cut it. i love to use Washi tape over tags!! Hi! Thanks for the chance to win. I use washi tape as a background for my window cards and for accents on the card fronts. I have also covered die cuts with washi tape. I love using washi under my photos! My favorite way to use washi tape is for borders on my layouts and cards. Thanks for the chance to win! I like to cover things with different patterns & colors of washi tape. I've done that with a card background & a clipboard. I like it instead of ribbon on cards. Wow! Nice washi tapes, it's the new ribbons way!!! 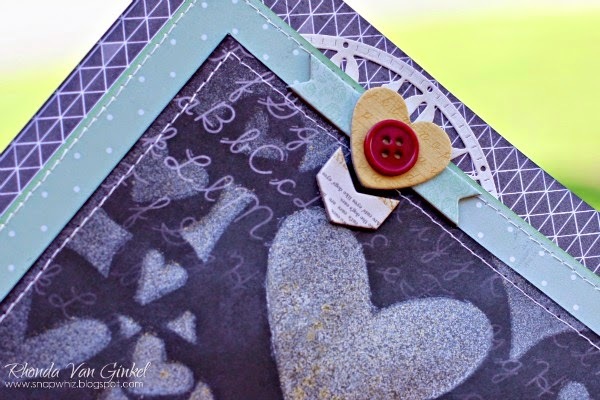 I love to use washi tape for quick and easy cards. Beautiful projects today ! I like to use washi to create layers on my backgrounds. 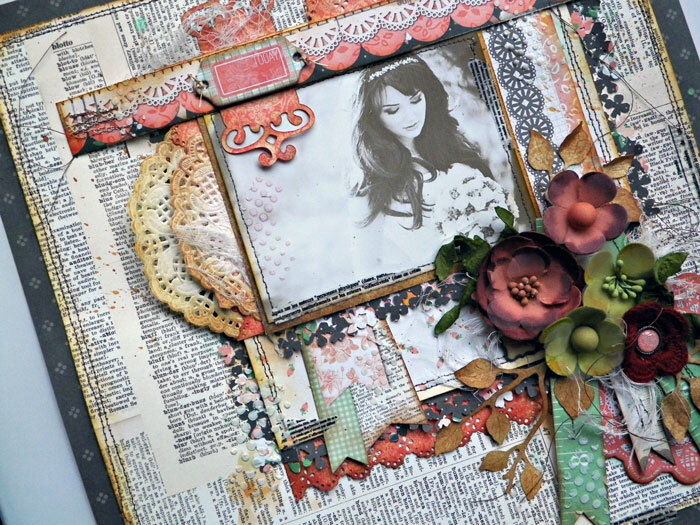 Fabulous romantic vintage page Lisa! I love the delicate feel of your page and the pretty colors you've used!!! Great layout. I would use washi tape on cards and my layouts too. I love washi tape - it's so versatile! I use it to add interest in layouts and cards - in place of ribbon sometimes. I use it quite often in pocket scrapping to add colour and the look of texture without adding bulk. LOVE washi tape!!! Wow! Such beautiful layouts! 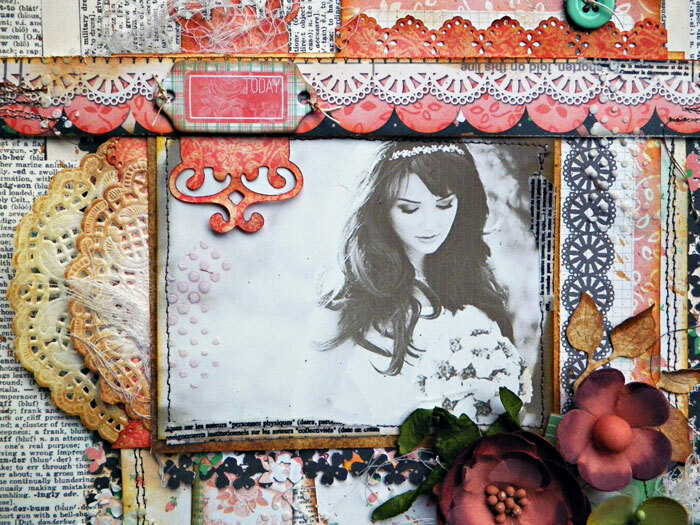 Love the use of the layers to add such beautiful dimension! Love the washi tape! I was playing with washi whilst watching the footy on sunday. Good to use your sitting time wisely. I love using washi tape on layouts and cards. Oh, I love all of this washi tape. Thank you....I would use this on anything crafty it would stick to. Thanks so much!! Love wash tape! I love adding a strip on layouts, project life and cards. Gorgeous projects! I live washi but sometimes find it difficult how to use so I'm collecting tips LOL. I like to add a stripe on my cards or maybe use it as a frame on my pictures. Great projects! I would like to use the washi tape to layer and emblish my layouts. I don't have much so would really like to add to my stash. Thanks for the chance to win! I pinned these projects because they are really sweet. I am a washi tape hoarder. I keep buying bigger containers to hold the taps I keep buying. My kids were in NYC and all I wanted was washi tapes. I use them in mixed media projects, cards and scrapbook pages. I use washi on layouts and cards, and I've also been using it when I make and decorate boxes. I love it! Thanks for the chance to win some smashing washi tape. So far I use wash tape for embellishment on my cards. The first page is so cute and the second one is so elegant! Beautiful work!!! Who doesn't love Washi tape!!! I use them on my layouts all the time!